AllStar Demolition Inc – Quality isn’t expensive, it’s priceless! 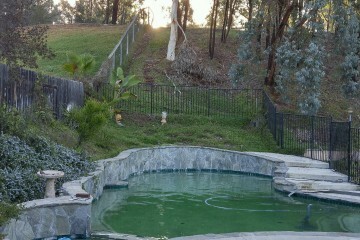 San Diego's #1 Swimming Pool Removal Experts! ALLSTAR DEMOLITION INC IS LICENSED, BONDED AND INSURED! AllStar Demolition is a turnkey, family owned and operated company. We obtain any necessary permits needed for your particular project and schedule all inspections throughout the project. We own our equipment, which helps keep the cost of our services down. Our well managed team is highly trained with expert skills, keeping our jobs safe and on schedule. We had Tom and his crew first come out first to remove our pool. He was able to do what many other contractors said could not be done. Every negative that was given to me as I searched for someone the last 2 years of trying to remove our pool, Tom overcame. And he did it at a reasonable cost. After this great job, when he said he could help with the rest of the backyard, we hired him. 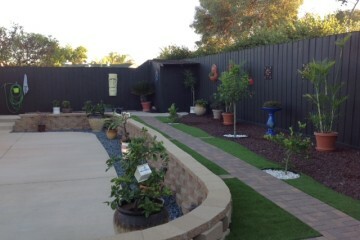 We now had a backyard of 2000 square feet and a plan my husband and I came up with. Working with us he has put our dream into reality. He listened to us and helped us every step of the way. He went beyond what I would have expected. Don't be fooled by a lower price. He is not the cheapest nor the highest but he is the best. We had him put in one 50 x 9 foot concrete patio and one 16 x 16 concrete pad, two decks, install a gazebo, and put in bark and rock and a special request to make sure I could use some rain chains so they had to make a special box in the cement. We also wanted Kool Decking on our cement. Tom never had heard of it before, but he did his homework, learned all he could about it, and found us someone in San Diego who can do it. He is open to learning about new techniques which I really appreciate. Also, Things we missed, he made sure were taken care of. And he offered suggestions that made our plan work even better. He told me he does every job as if it were his own house and I saw that in the work he did for us. I can't say enough how happy I am that I went with this company for my pool removal. Tom and Mandy were great to work with. The entire project was started and completed on a timely manner as stated by them. After having a few people come out and give me estimates, Tom was the only one I felt was just straight forward and honest with me on what the project entitled and the costs. I would highly recommend this company!!! Very professional company, was given an accurate beginning and end date. Pricing was fair, I felt comfortable with All Star employees being on my property and very satisfied with the the leveling that was done. The customer service with Tom was reassuring, I felt like if I had questions or concerns I was not afraid that I would ruffle feathers approaching him, am planning on using this company for a pool remodel in the future. Highly recommended. TERRIFIC SERVICE. Creative solutions to problems and willing to do those extra things amiably. Stuck to costs and time. Estimate was competitive, and solution to our pool filling problem at a site with minimal access was impressive. I would recommend them 100% and you will have fun with Tom (head guy) to boot. The main reason I give him a 5 star, is that they did not allow six. We had a sinking front patio and driveway. ALLSTAR DEMOLITION INC., were true ALLSTARS in completing our demo and reconstruction project. The quote was fair. The job, though small, was done professionally and completed on time, within a week, while dealing with rain in the forecast. All the old cement and debris was hauled away and the new installed as promised. Our new front patio and driveway are BEAUTIFUL and a great asset to our home. Tom, Mark and Team, THANK YOU for a Very Professional JOB WELL DONE! AllStar has completed 2 projects at my home and were great both times. My swimming pool was taken out and was replaced with concrete that gave me a whole new back yard to enjoy and entertain in. Tom and crew were able to obtain all of the necessary permits and the job was finished on time, just as planned. They are very thorough and Tom walked me through each step of the jobs even before starting, so that I could understand exactly what they would be doing. I had 3 different demolition companies come to my home and bid both jobs and AllStar was the most knowledgeable and fair in the price they charged me for their services. I have recommended them to several others and will continue to do so. I give them 5 stars. Tom of AllStar Demo helped us out with a demolition of our pool in Oceanside. We couldn’t have asked for a better experience or contractor. He started work on the day he promised, arrived on time each day and got the project done a day ahead of schedule! His coordinating of all permits and inspections with the City of Oceanside was also a seamless effort. I’m going to be doing more improvements in the near future that will require a contractor like Tom and he already knows he’s got all of the jobs when we’re ready to start. Don’t hesitate to hire this guy for your grading, filling, hauling, etc projects. You’ll be another extremely satisfied customer such as myself. AllStar Demolition Inc strives on building strong customer relationships while providing quality work on each and every project. We care about our customers! © 2017 AllStar Demolition Inc. All rights reserved.